Teacher Apple Thank You Cards. 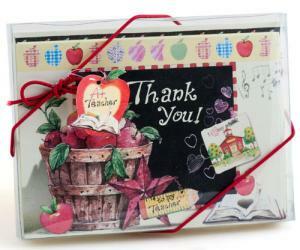 Cute thank you notes with top apple border with fun music and heart design on the chalkboard image. 10 Cards per box.